A sudden family tragedy and his girlfriend’s unexpected announcement put Rehan Ahmed into a downward spiral that forces him to choose between reality and revenge in this character-driven action short. The sudden, tragic death of Rehan Ahmed’s brother collides with his girlfriend’s unexpected pregnancy announcement, pulling him into a downward spiral of uncertainty. Will he choose the life he’s built as an Electrical Engineering Masters student and Canadian immigrant, or walk the vengeful path his family demands? As we follow Rehan’s spiral into cultural and personal uncertainty, the impending threat of International agents who believe he is a threat to security move in on his girlfriend, Maya. As the couple quickly go from average University students to fugitives, the culminating moment sees Rehan a victim of inevitable misunderstanding between cultures, lovers, and simple human nature. 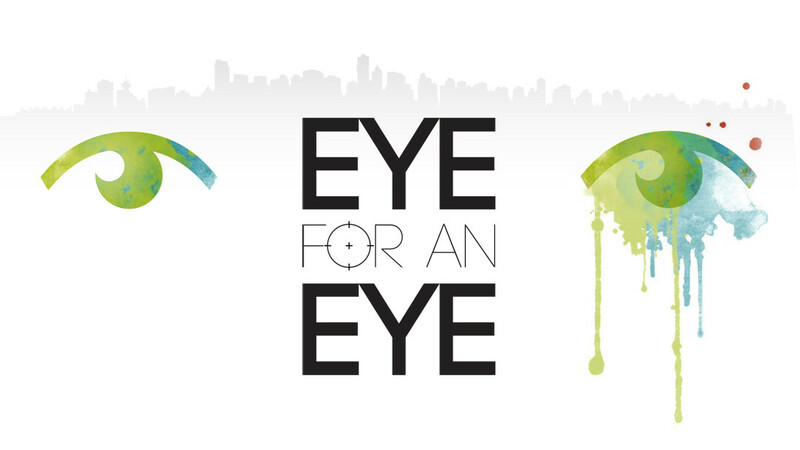 Grant-winning Eye For An Eye features a multicultural cast and crew against the beautiful backdrop of eclectic Vancouver, British Columbia, Canada. “Eye For An Eye” spent a year and a half in pre-production before finally rolling camera. Along with our supporting cast, awesome crew, and with a little help from The Waking Eye taking care of our beautiful graphics, it was all hands on deck for the shoot. There were also our significant others and friends who stepped up as Extras and to help behind-the-scenes, the generous people at The Wolf & Hound Pub who let us take over the restaurant for our opening scene, and the support of, well everyone we know who helped us win the StoryHive grant that secured our production money and spot on Telus Video-on-Demand.